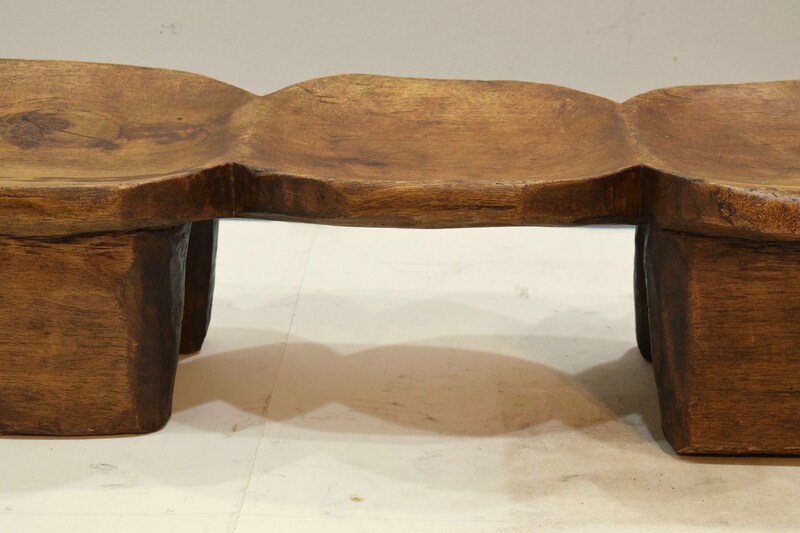 This is an old wonderful Lobi Hand Carved double face three seat Wood Stool that comes from Burkina Faso. 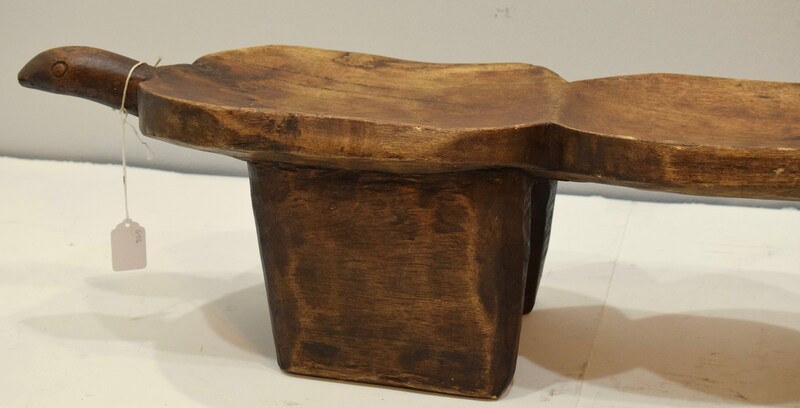 The stool is carved out of a single piece of wood. The Lobi produce stools for both everyday use and as prestige items. 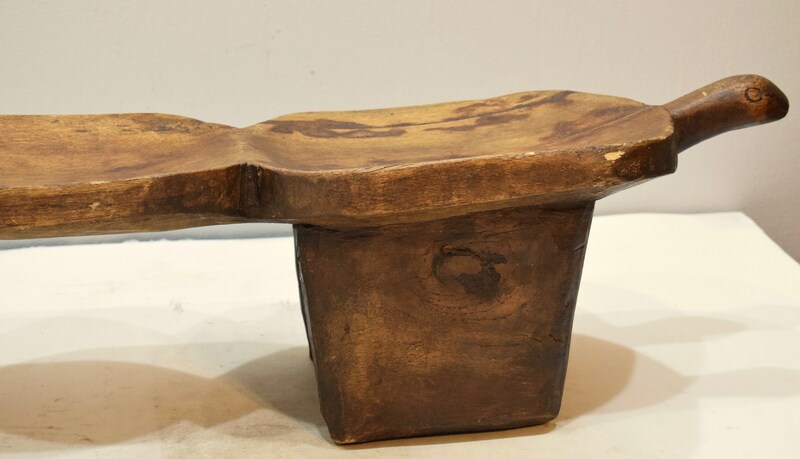 Although this stool may appear to be of simple design, the practice of woodcarving is dangerous and requires the protection from spirits that may be angered by cutting a tree. 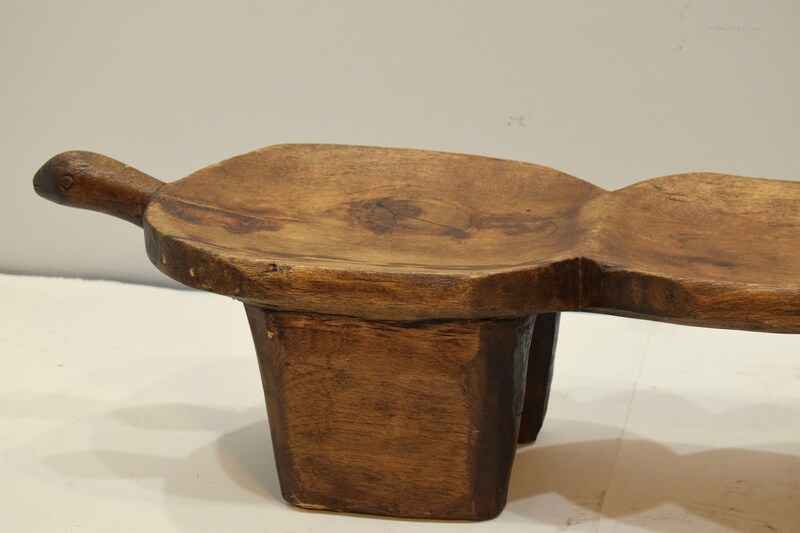 Stools were a prized personal possession of prestige and social status. 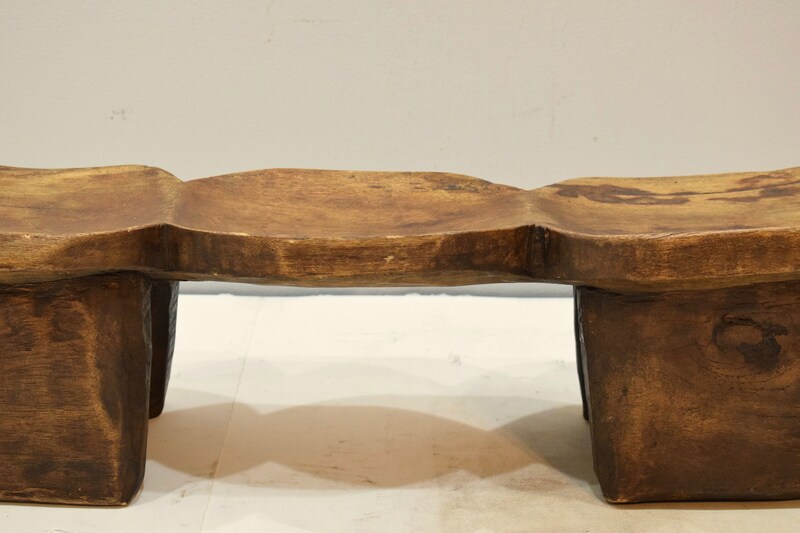 This is a special Lobi stool due to being decorative it has ritual and ceremonial elements that made it very special to its owner. 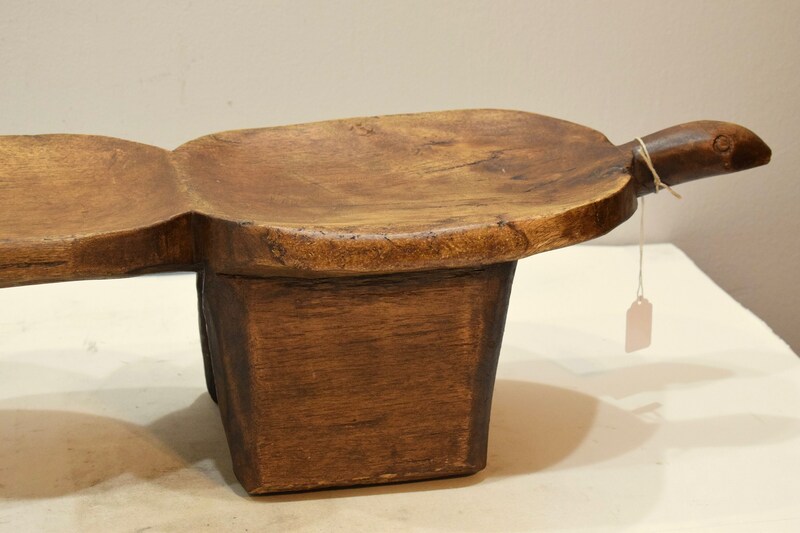 Shows age, distressed weathered wood, but overall in good condition.